No, this isn’t some salvage titled fixer upper plastered together with bondo and sold at the nearest Buy-Here-Pay-Here-Surprise-Repo lot. This is a MKIV Toyota Supra with a twin turbo 2JZ-GTE and a manual transmission, way less than any others on the market - because it may need a few small things. 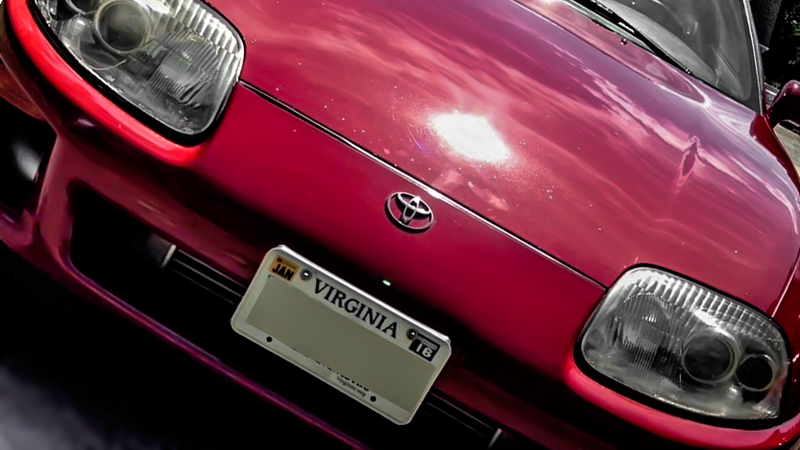 This 1994 Toyota Supra likely started life as a stock market yuppie’s plaything. Its smooth curves and enormous rear fender humps still command an insane premium to this very day - except that when this car was new, it wasn’t the venerable twin turbocharged, 320 horsepower monster that everyone nowadays is crawling through broken glass to get. No, this was the naturally aspirated 222-horsepower near-beer version. However, some time between 1994 and 2015, the engine was changed to the USDM 2jz-GTE with all the ponies associated with it. Neat. The downside was that the manual transmission - a relatively rare option on this model - was left as the stock W58 5-speed that most Toyota enthusiasts know to be particularly fragile, especially with power levels greater than stock. The clean titled, running and driving car currently stands at just under $20,000 - which is a bit above fair market value for a clean naturally aspirated example, but much less than any manual version with a twin turbo engine. This is an Na- TT engine swap done at a Toyota dealership by the previous owner/toyota mechanic. Engine is from a usdm supra with ~60k miles (body 134k) . All parts are OE Toyota. Lots of upgrades. Currently boosts to 14-15psi. About 6000 miles after the motor tear down and swap done. Very responsive and no turbo lag. Clutch was upgraded but may not hold every time in 5th over 5k rpm, no issues under normal driving conditions. Full spare and jack kit in hatch. Carpet in great condition. Tonneau cover included. For the money, if you can deal with the fact that the car isn’t “numbers matching” and isn’t the version with the extremely stout and expensive transmission, it’s one of the better Supras out there - especially with the red/black color combo that I’m particularly partial to. At the time of writing, no one has bid and there’s about a day left. Either no one has seen this listing, or it’s gonna be a sniper’s paradise when the last seconds roll around. In either case, I’ll watch this listing closely and so should you.